Picked up a few goodies on my last drugstore/Walmart run, including Revlon Lily, a beautiful lavender creme, and Hard Candy Black Tie Optional, part of the new bottle shots collection that's been released. 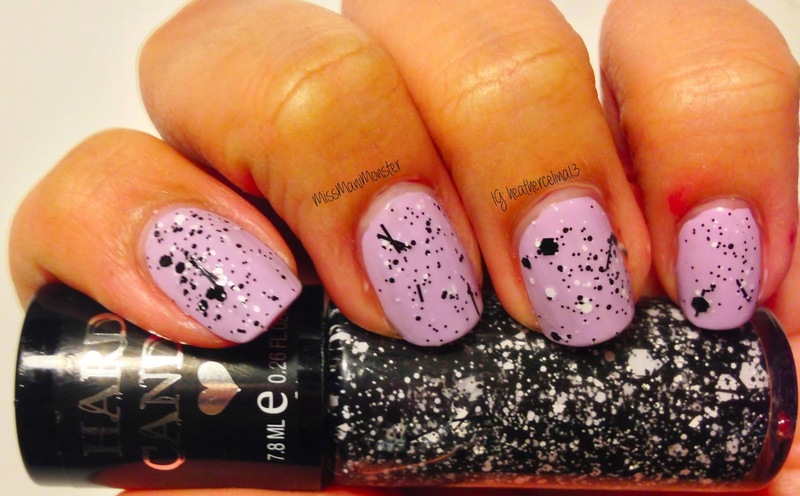 The Lily is a perfect, light pastel base for this awesome glitter topcoat - the glitter is matte and it shows up so well. Every time I looked at them, it just reminded me of graffiti. I love both formulas, and want to try more of these Hard Candy polishes!